David Dickinson, Earth science teacher and backyard astronomer, and Fraser Cain, publisher of Universe Today, have teamed up to provide expert guidance on observing the night sky. 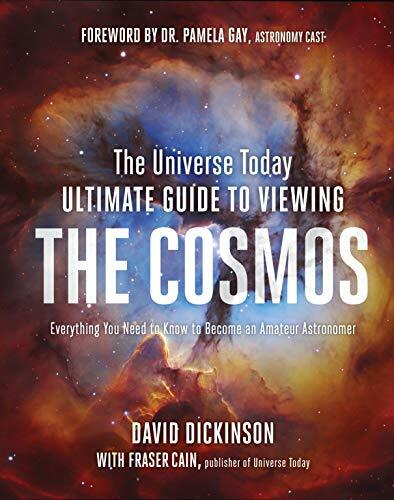 The Universe Today Ultimate Guide to Viewing the Cosmos features the best tips and tricks for viewing our solar system and deep sky objects, as well as detailed charts, graphs and tables to find must-see events for years to come. This comprehensive guide is complete with stunning and exclusive photography from top night sky photographers, as well as advice on how to take your own incredible photos. With star charts, practical background information, technological resources and telescope and astrophotography guides, this is the ultimate resource for any backyard space enthusiast.